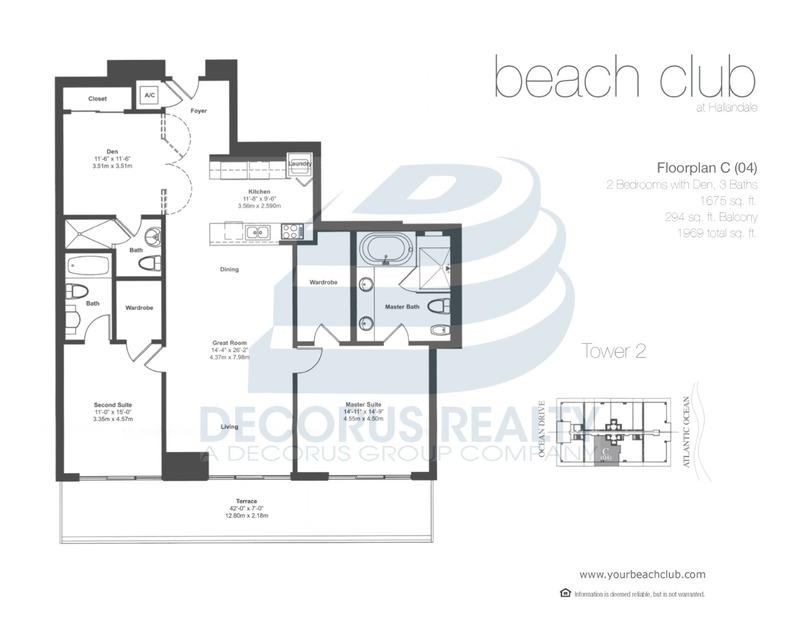 Beach Club Hallandale(Tower Two) > 3704 - Ever had a dream of visiting the most luxurious resort and not wanting to leave? The Beach Club will not only allow you to attain your dream, but also allow you to live it every day! This unit provides the best of both worlds; endless majestic ocean views during the day, city views South down the coastline at night, and West views toward the horses racing at Gulfstream Park. Barely used as a vacation home a few months of the year, this unit is in impeccable condition. Just bring your toothbrush and suitcase and move right in! The Beach Club includes 5-star amenities including 50,000 sf of club space featuring a three story, state of the art, full service spa and fitness center, an onsite restaurant serving to your unit at the pool or on the beach. Fully furnished. Turn-key rental. Decorus Realty LLC is not responsible for the accuracy of the information listed above. The data relating to real estate for sale on this web site comes in part from the Internet Data Exchange Program and the South East Florida Regional MLS and is provided here for consumers personal, non-commercial use. It may not be used for any purpose other than to identify prospective properties consumers may be interested in purchasing. Real Estate listings held by brokerage firms other than the office owning this web site are marked with the IDX logo. Data provided is deemed reliable but not guaranteed. Listing provided by Decorus Realty LLC.